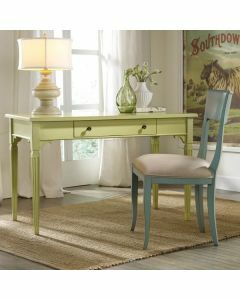 This modern coastal writing desk makes a splash in any office. Its neutral grey lacquered bamboo is paired with classic details that stand the test of time. Ample drawer space ensures instant organization. It measures 23.6" x 47" x 29.5”. Click on images for greater detail.